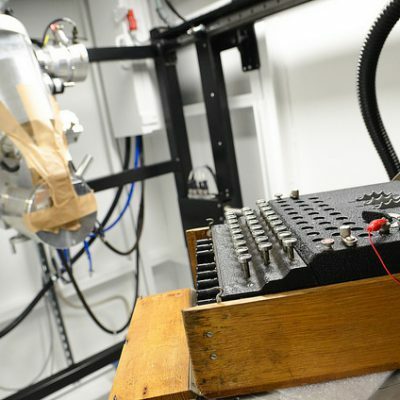 Scientists working at The University of Manchester have shone new light on the Enigma machine used by German military in World War Two and cracked by Alan Turing and his team of code-breakers at Bletchley Park. 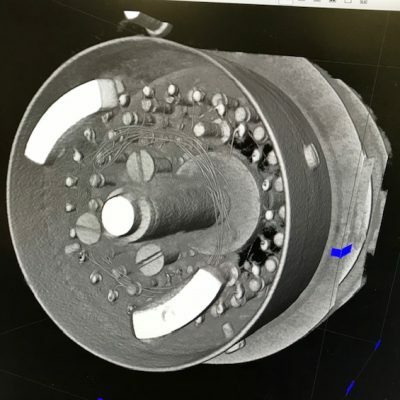 Exploiting their state of the art X-ray Computed Tomography (CT) facility, features inside the Enigma’s metal casing were revealed for the first time, including individual wiring and the structure of the rotors that encrypted messages sent using the machine. 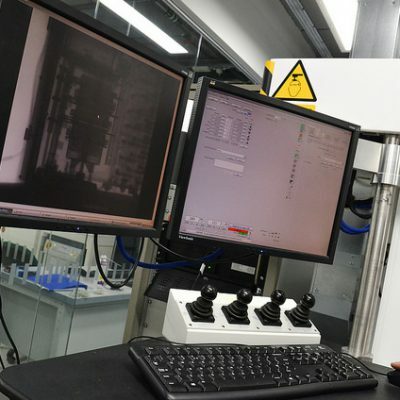 Normally Royce facilities are probing new materials to solve engineering problems in industry but when we were approached we were keen to help. Gaining a first look inside the Enigma machine required us to take over 1500 separate x-ray radiographs. 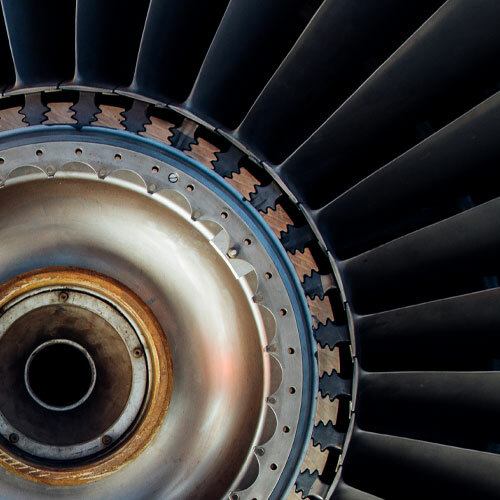 It is exciting and appropriate to be able to unlock some of the secrets of such an iconic machine here at Manchester. 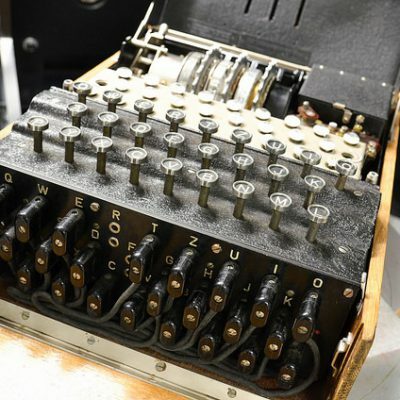 The 1941 German army Enigma machine was loaned to the University by Bletchley Park and its owner, cryptography enthusiast David Cripps. It is the latest Enigma machine to be verified and one of only 274 still in existence. Made in Berlin in 1941, the machine is believed to have been supplied to the Austrian Federal Ministry of the Interior in Vienna. One thing we’ve been able to do is actually looking inside the rotors and see the individual wires and pins which connect the 26 letters on each of the three rotors, enabling a message to be encrypted. 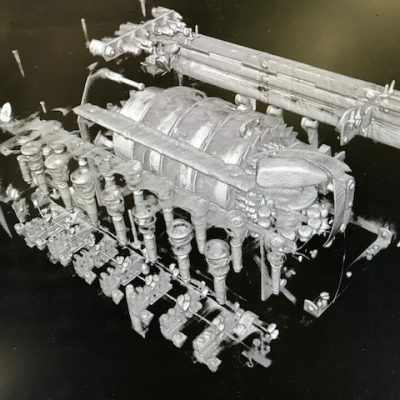 This is the first time anyone has been able to look inside the Enigma with this level of detail, using a technique that does not damage the machine. Appropriately, the scanning work took place in the Alan Turing Building at The University of Manchester, which is dedicated to his legacy. Alan Turing was appointed at the University’s School of Mathematics in 1948 after his work on the Enigma. While at Manchester his work included programming of software for one of the earliest true computers – the Manchester Ferranti Mark 1 – and a seminal 1950 paper on computing and artificial intelligence. It is fantastic to unveil this new perspective on the Enigma in the Alan Turing Building, named after the man who played such a large role in cracking its code in World War Two. Manchester was an environment where Turing flourished. His legacy can be seen right across the University with researchers developing super computers that can model the human brain, exploring number theory and cryptography, as well as training robots to understand language. Right here, people are working on the principles that he laid down and the dreams that he had. 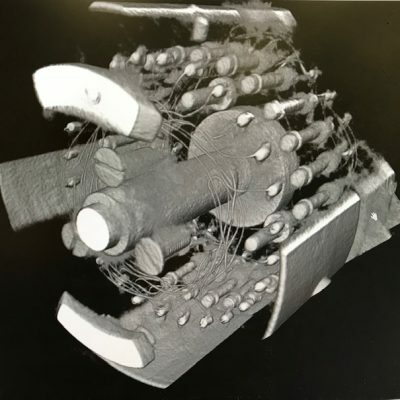 The University of Manchester has published a range of images and two videos of the Enigma X-ray CT reconstruction, with more results to follow. The results were presented at a special lecture at the University, to inspire students and to help launch the 2019 Alan Turing Cryptography Competition – a web-based competition open to UK school children in year 11 that will start in January 2019. The competition attracts over 4000 students each year who compete in real-time code-breaking challenges, helping to inspire young people to take up Maths and Computer Science courses.